Product prices and availability are accurate as of 2019-04-08 02:08:27 EDT and are subject to change. Any price and availability information displayed on http://www.amazon.com/ at the time of purchase will apply to the purchase of this product. 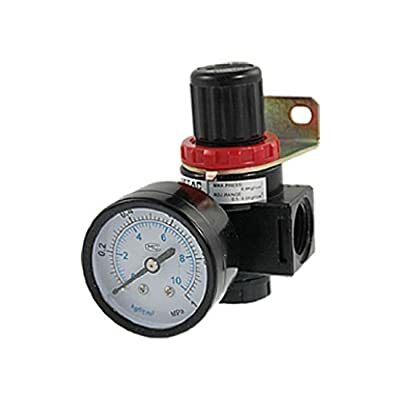 Product Description Features the adjustable pressure is 0.5-9.0 kg/cm², max pressure is 9.9kg/cm². Regulator valve adopts balanced inlet structure with the advantages of stable pressure, high precision, and quick reaction. Also with pressure gauge, a holder for holding air filter.